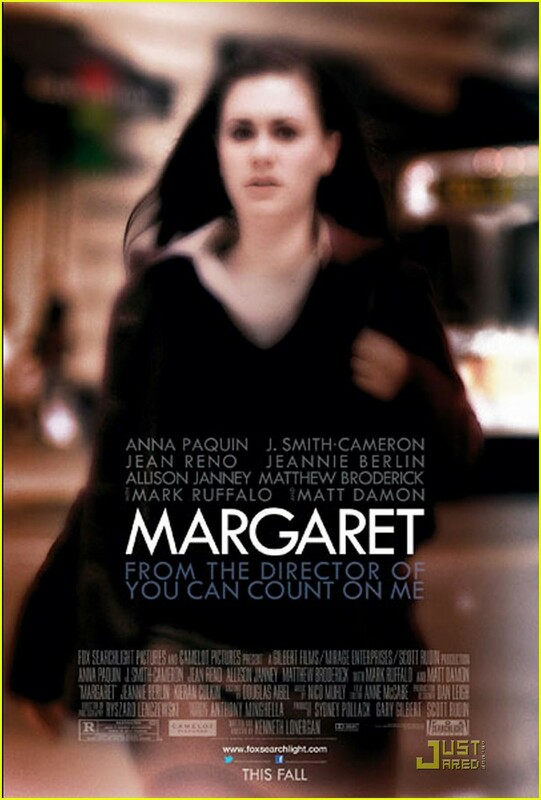 Originally shot in 2006, Margaret is a beast of a film that walks the thin line between masterpiece and utter failure. The film is filled with literary allusions that coincide with the political and cultural strife in post-9/11 Manhattan. Finally released in a form that is well over 150 minutes, the film is a tough journey for a young woman who attempts to gain control her hormones, her guilt, and her education. Lisa Cohen (Anna Paquin) is shopping for a cowboy hat for her trip to visit her father. With no luck, she turns around and sees Jason (Mark Ruffalo) a bus driver wearing one. Lisa attempts to grab Jason’s attention while hes drives the bus, which eventually distracts him enough to run a red light and run over Monica Patterson (Allison Janney), who dies in Lisa’s arms. Lisa collaborates up with Emily (Jeannie Berlin), Monica’s only friend, to sue to have Jason removed as a bus driver. Lisa is indeed a intelligent young woman. With a half-scholarship to a private high school in Manhattan, she is a lively debater of politics, she earns good grades, and her teachers admire her courage in the classroom. However, the teachers are unable to challenge her like uncertainty can. The school in the film is a shelter to world that she has yet to embrace. In one scene, the teacher does not have all the answers and and is unable to debate another student’s interpretation of a text studied in class. The scene in question explains that, while she does attend a good school, her teachers, and her education can only provide so much. There is no doubt that Margaret is heavily flawed. Some scenes include cut-aways to exterior shots that obviously point to a disjunction in coverage in the footage. Scenes start and end with confusion, and some scenes are missing an entire middle section. The film’s history has been notorious with director Kenneth Lonergan having final cut and Fox Searchlight’s unwillingness to release a three-hour film. Lawsuit after lawsuit, many of the great directors, editors, and producers have all had their chance to sit down at the editing suite to piece this thing together. So it is understandable why the film has such an unfinished quality to it. At this moment, only two prints of the film exist due to the delicate nature of the surrounding politics of the film, and it was a special occasion to see the film. Through the messy editing and countless moments of a confusing, inconsistent visual language, the film has center to it that is still solid, crying out to be understood and wrestled with, even laughed at with sincerity. That is what makes the film so intriguing; that through all the messiness, Margaret still rises up to the challenge set forth by its filmmakers. 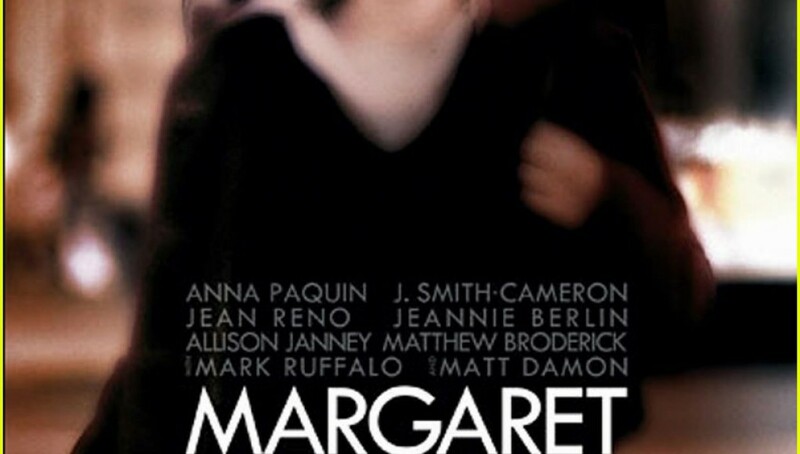 However, it is safe to say that Margaret is an attempted masterpiece that has failed. The film does have an inherent artistic quality that touches upon a wide variety of internal and external struggles in Lisa’s life, but the film flies too close to the sun. The title derives from the poem read out loud in Lisa’s class: “Spring and Fall: To a Young Child” by Gerard Manley Hopkins. The poem is about how a young woman will soon lose her naivete and her worldview will change drastically, just as the seasons change. This is exactly what happens to Lisa. She is a catalyst to a fatal tragedy that will alter her state of mind more than she can fathom, and she makes decisions and begins relationships that she is too young to understand or control properly. Operas are also used to represent Lisa’s own struggle, but also her own interest in creating drama. Her mother begins to date Ramon Cameron (Jean Reno), and the two begin to see operas often. Later, during an argument between Lisa and Emily, Emily insists that Lisa is manufacturing drama in order to feed her own self-interests and entitlements, much like an opera. Together, the poem and the operas in the film are perfect allusions and metaphors to Lisa’s current state of drama and change. The film is set in a post-9/11 Manhattan, where that tragic day still affects each and every one of the citizens. In one of Lisa’s class, there are constant heated arguments regarding the nature of terrorism, religion, and war. Lisa’s own tragic event causes ripples in her life. She distances herself from her mother, tries to make a trip to visit her father work, and begins to have confusing relationships with boys. A teenager’s hormones are raging during this time in their lives, but the tragic event that Lisa was apart of has created a causality of stress and trauma that is never properly dealt with, and she is unable to properly cope. While the film has its messy nature, the performances in the film are never less than extraordinary. Matt Damon and Matthew Broderick excel at semi-shy private school instructors. Allison Janney embraces death so well, it is incredibly difficult to watch, and harkens back emotionally and physically stressful scenes found in films such as 127 Hours. Kieran Culkin makes a light-hearted cameo in the film as a sexual partner. But the performances are truly capped by the star, Anna Paquin and her many theatrical fights with the likes of Ruffalo and Jeannie Berlin. The only way a successful version of Margaret could ever be seen is if it is given the Criterion Collection treatment where the masterpiece can be assembled according to Lonergan vision. However, at almost three hours in length the film never seems to drag and certainly maintains its pace and intrigue from start to finish. The film is consistently flimsy, and only the tender love and care to quality could come from the saviors at Criterion. In the meantime, Margaret is a coming of age film for not only Lisa, but for the culture and politics that have changed New York.